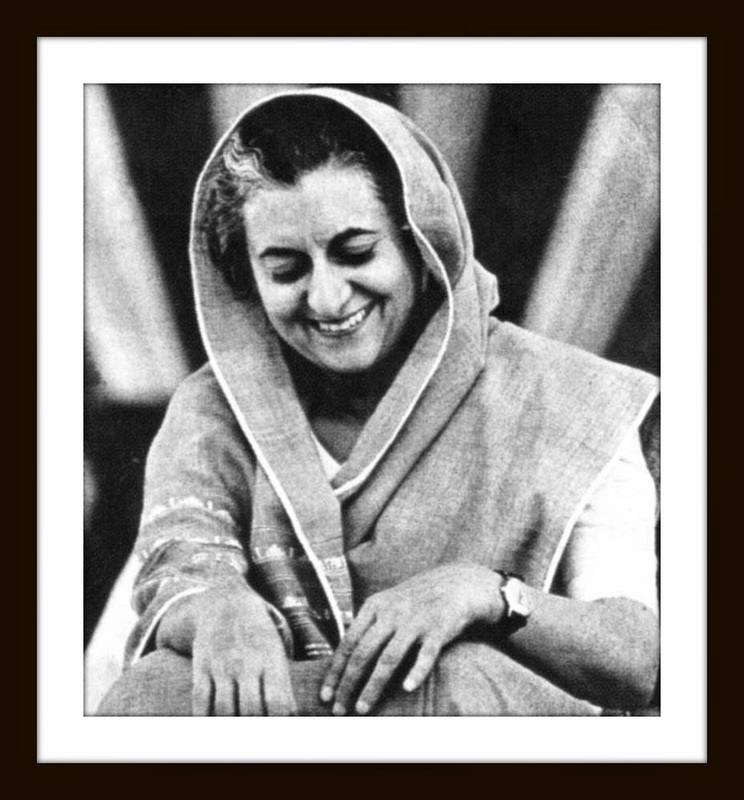 Last week, 31 Oct to be exact, was Indira Gandhi's 30th death anniversary. To those of you who don't read much and are not interested in history, Indira Gandhi was India's only woman Prime Minister. She was shot dead in 1984. So, the idea of having a woman Prime Minister is certainly not a bad idea after all and I think the time has come for Malaysia to seriously consider identifying a suitable woman to lead us in future. Malaysia is certainly ready for a woman PM despite the fact that Datin Seri Wan Azizah Wan Ismail was recently rejected as MB of Selangor candidate as I believe Wan Azizah was rejected not because she was a woman. 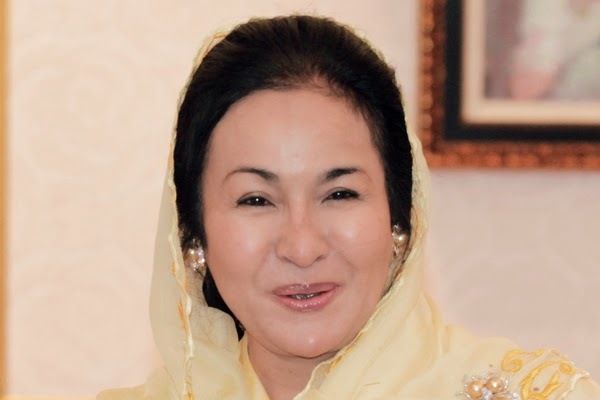 Currently the only woman leader with Indira Gandhi-like resolve and leadership qualities is Prime Minister Datuk Seri Najib Tun Razak's wife Datin Seri Rosmah Mansor. While in the past I admit to have scoffed at the idea of Datin Seri Rosmah as a politicians or candidate during general elections, I have now come to terms that Datin Seri Rosmah might in fact be the right leader for us. The right leader we need. This is certainly not an attempt to topple the Prime Minister and please allow me to state my opinion without having to continuously ward off senseless cyberdogs who think they are cyberwarriors. Please, lets have some room for plain intellectual discourse. We must admit that Umno and Barisan Nasional needs a strong leader with steely resolve, commitment, intellectual capacity, leadership and a no-nonsense political approach. Don't state Islam as a hindrance because even Bangladesh has had/been having a woman leader for a long time. If Datin Seri Rosmah Mansor could be a pillar of strength to the Prime Minister and hold him up for so long, I'm sure she is more than qualified to be our first woman Prime Minister. She is certainly a person who doesn't tolerate or give room to nonsense. If there is a will, there will certain be a way of how we could together persuade Datin Seri Rosmah to consider this humble, sincere suggestion. I have nothing but the best interest of this nation at heart and I re-iterate that under the current political situation Datin Seri Rosmah is the only person who could hold the fort and prevent Barisan Nasional / Umno from becoming an Opposition party in Malaysia after the next general elections. The upcoming Umno general assembly could start the ball rolling. Think about it. I am afraid I most humbly agree. It is one of few suggestions that makes sense. Bro, Zahid will send his goons to knock on your door tonite. Hahaha. Tak tau ke he wants to be PM? Then be ready to see her face and hear her voice on all media channels 24/7/365. At this moment,I don't think we need to have a lady to be our PM.Malaysia Economics,under the leadership of Dato Seri Najib has been progressing very well.Najib has been proven a very good leader and accepted by the word leader especially during the crises of MH 17. Just if our country need a women PM, is a not a matter who will be on next list ....the important must admit needs a strong leader with steely resolve, commitment, intellectual capacity, leadership and a no-nonsense political approach. Just hope the best will be contribute.....but still our PM is doing well. There is no question about who will be the PM.. but what can i say that we should support our current government..
Kah kah kah teruknye kor perli DSN Firdaus. saya sokong. saya sokong. saya sokong. sifat penyayang rosmah bakal membuatkan kita semua lebih bersatu. rosmah dekat permata dia dah kata yang nak rapatkan hubungan antara kaum kena dari kecik. tapi datang laki dia plak pegi sokong sekolah vernakular siap kata dilindungi perlembagaan.